Okay, so…I have A L O T of mixed emotions about this book. I finished The Outliers about a week ago and I’m still a little…dazed (?) when it comes to how I really feel about it. I’m just going to put them in bullet form so my scattered thoughts are some-what organized. 3. Fast forward a bit and I’m starting to really enjoy the story. I’m thinking, wow, I totally judged this book wrong! UNTIL really crazy, seriously unbelievable things started happening. Suddenly a strange couple is essentially kidnapping Wylie and Jasper, then a crooked cop is trapping them in a cabin, next we find out Cassie has ESP (oh wait, don’t call it ESP or Wylie’s dad will freak), then some weird tech hacktivist group is trying to steal scientific data AND the person with ESP, BUT WAIT! Cassie isn’t the special one, the hacktivist group is not on Wylie’s side, and her dad was sitting on the couch the whole time! LIKE WHAT?! 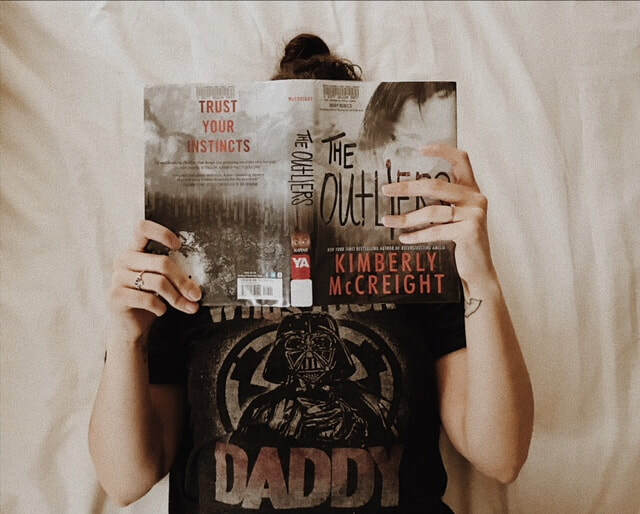 I wasn't tagged to do this, I just stumbled across it on GoodReads and figured it'd be a fun quick post until I have my review (The Outliers) written for this weekend. Enjoy! Honestly, I’ve never read a series that was more than 4 books. That seems to be the norm and I think it’s pretty decent. But, if the Lunar Chronicles could go on forever…there’d never been too many books in that series! I have a love/hate relationship with cliffhangers. Sometimes I look at them as a way for me to make up my own ending or let my imagination run wild with the endless possibilities of the characters futures. Other times I want to scream and throw a book at the wall for not telling me a very matter-of-fact ending! I definitely prefer hardcover books. Something about them is more aesthetically pleasing. The Kite Runner of course! (I have four copies) I also really enjoyed All the Bright Places, Made You Up, and a few poetry collections. I read this book titled Whacked about 4 years ago, it kind of really irked me while I read it. I pushed through it and just sat there afterwards like..why.. YES! I absolutely adore relationship conflict and competition (in books!) I feel like it makes the characters more human and real. Hmmm, I honestly don’t know. I most often push myself to finish books even when I don’t like them. I feel like I can’t judge it fairly if I don’t finish it. The only one I can remember not finishing is The Catcher in the Rye years ago. 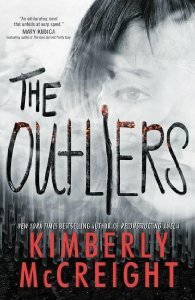 I’m reading The Outliers right now. Another book I’m sort of pushing through at the moment. I believe I recommended Ruth Ware’s The Lying Game and also her book The Woman in Cabin 10. I have several! Rainbow Rowell, Marissa Meyer, Ruth Ware, Jennifer Niven, Amanda Lovelace, Rupi Kaur, and R.H Sin. Buying books or burrowing books? I definitely like to own books a lot more than I like to burrow, but I do a lot of burrowing from the library. I mostly burrow books that I’m not 100% sure I’ll enjoy so I don’t really waste the money on purchasing the book. Again, The Catcher in the Rye! In high school all my classmates were obsessed with this book and here I am banging my head against the wall with every written word. Bookmarks! Especially pretty handmade ones! I haven’t really re-read any novels, mainly because I’m too excited about reading new things, but I do re-read a lot of the poetry books I have. I can. I usually have Alexa (Amazon) play thunderstorm sounds at night while I read. I find it super relaxing! MULTIPLE! I like being able to understand everyone’s point of view and their own personal story. Aside from poetry collections, I’ve only ever been able to read Eclipse from the Twilight Saga in one day! Otherwise it can take anywhere from 3-10 days. 15 Bookish facts about me! Okay so the actual TAG is 25 bookish facts about me, but honestly, I can't think of that many! I wasn't tagged by anyone, but I saw this tag on a few booktube channels so I thought I'd make it a blog post since I'm not super into booktubing. Lets jump into it! I never really liked reading too much until I finished High School and moved to West Virginia with my mom. I didn't have many friends in college and I only had a seasonal job. There wasn't much to do in the area we lived in, especially alone, so I took a lot of trips to the local library and B A M my love of reading was born! I started with a lot of Jackie Collins books and expanded from there. The first series I ever completed was the Twilight Saga. I actually only read this because everyone in my school was reading it and I felt super left out. I ended up really liking the series (team Jacob!) and got all the books for Christmas that year. I can not stand reading ebooks. It drives my insane. I need to feel the book. I need to smell the book. I need to BE the book. Okay a tad overdramatic, but seriously. I need a physical book to be happy! I mostly buy my books at Barnes and Noble, but occassionally, my local thrift store has used copies of new releases! I go at least 1-2 times a month to check it out and see if I get lucky. They sell them there for $4! The first ever bookstagrammer that I followed was Emily (blueeyedbiblio) because I saw a feature of her in Seventeen Magazine. ​I cringe when people dog-ear their book pages. Writing in books, highlighting, and tagging pages doesn't bother me, but dog-earing them absolutely drives me INSANE! Playing off #10, I used to make my own bookmarks that were shaped like triangles with little monster faces that you put on the corner of the pages. Yet another thing I did to occupy myself when I lived in West Virginia with no friends! I collect magazines ONLY with Demi Lovato on the covers. I have a whole stack that I've kept throughout the years. I don't even care what the magazine is. If her face is on it I own it. The only audiobook I've listened to is the first installment of Fifty Shades of Grey. That made for one awkward communte to and from work. I'm Kimberly. Your totally eccentric 24 year old book blogger. Come enjoy my m a g i c a l blog of bookish (and other very interesting) things! Check out my about page for more insight into, well, ME! Check out my adventure page where I will be posting all of the non-book ​related travel posts.